Installing new BFS replacement windows is a snap. You will need an assistant to help you level and install the new BFS window sash, but for the most part this project can be done solo. Replacing windows in your home is a great way to save a lot of money on energy bills, and doing it yourself will save you the cost of hiring a professional to install them. This job takes one to two hours to do per window. Repairing a BFS window is a snap to do yourself. Measure the length and width of your window opening and record the figures. Use these measurements to order your window from a local window specialist center or your favorite DIY center. Use a putty knife to scrape the window buck area (opening) free of any debris and/or old caulking. Use a utility knife to cut away any caulking material that you can't remove with just the putty knife. Lay the new window sash down on a workbench. Bend the metal flange that is around the window sash's outer edges by hand or lightly tap it with a hammer. This will allow for the new window sash to be nailed into the window's framing. Lay a bead of caulking around the metal flange you just bent in. This will help seal the new BFS window into place against the frame. Mount the window into the buck area. Use wood shims to level the window; make sure that the window is in place and plumb. Tap the wooden shims into place gently with a hammer to avoid splitting the wood shims. Verify that you have installed the new BFS window sash evenly with a level as well as the window itself. Hammer the metal flange to the window frame with nails spaced every 4 to 6 inches evenly. 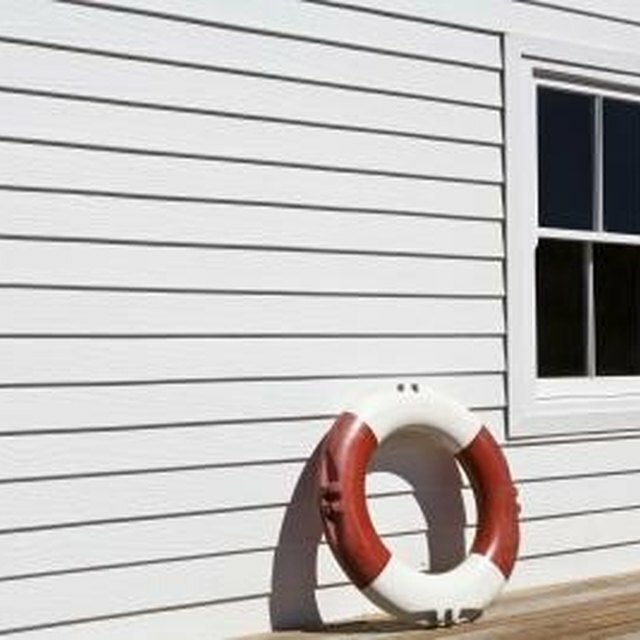 Seal the edges of the new BFS window with a smooth, un-broken line or several beads of caulking. Use a stir stick to smooth the caulking out and a damp rag to clean up around the window's outer edges. Allow the caulk to dry 48 hours before using the window. Use extra caution when working with glass and get a partner to help you level the window if the new sash is too heavy for you alone to handle.